The Silent Command System Vol. 1 with Rick and Ronnie Smith DVD. $39.95. "The tools learned in the DVD will make your dog a better hunter and a better member of your family." I found this DVD to be the most helpful reference of any book or tape available. 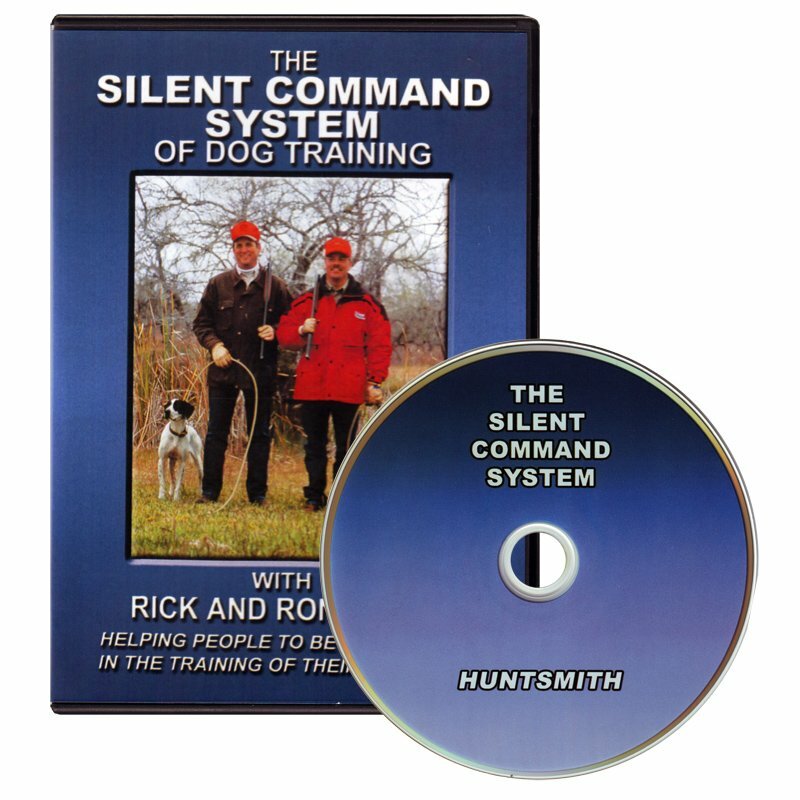 The best thing about this DVD (and the whole series from Puppy to Intermediate) is that it lays out a logical, easy to understand, stress free method to develop your dog into a hunting companion that you can be proud of. The tools learned in the DVD will make your dog a better hunter and a better member of your family. How can a dog learn to stand still and point with intensity until it can learn to stand still and be calm at your side!?!? This DVD is all about controlling, yet building your dogs desire. It was less detailed than I had hoped. What was on the DVD was good, but I expected a little more. I was considering buying the second cd in the series, but still not sure it'll answers all the questions I have. Llewellin Setter-Springer Spaniel - Chessie. Hunts. Family pet. The information on this DVD on their training system was very sketchy at best. It left my scratching my head as where/how to start out. Their concept was not very well presented.. Nothing was mentioned about intro do gunfire, intro to birds, use of an e-collar, etc.. From what I gather, this is not a silent command system as the verbal commands are added in at some point in time....not sure when as it didn't give that information... It mentioned nothing about whistles, hand signals, etc. The dogs used for demonstation purposes were trained, so it was difficult to envision what to expect when starting out with a pup/untrained dog. This is a $10 DVD selling for $39.95. Learn how to get the desired behavior from your dog. Rick Smith and Ronnie Smith are the products of bird dog training knowledge. Bird dogs have been a Smith family tradition for almost a century. Rick and Ron bring to you a lifetime of experience, including everything from operating their own public training kennels to guiding quail hunts in south Texas; training numerous National and International Champion Field trial winners; and helping thousands of people all over the world train their gun dogs via their highly popular seminars. This video will give you an overview and outline of the Silent Command Dog Training System developed by the Smiths and used in their training programs, seminars and magazine articles in Pointing Dog Journal. It's called the Silent Command System because it is based on using the language your dog already knows, and verbal commands are not added until the correct behavior is being performed. They believe in a strong foundation of the basics building on the language and instincts that dogs already have. Using this system, your dog will learn more easily because he doesn't have to learn our language, and we will be eliminating the frustration that can result when dogs are pushed too fast and too hard. The introduction to the Silent Command System covers proper use of the Stakeout Chain, Command Lead, Check Cord, Whoa Post, Reading Scent and Working Birds. You can then continue your training with The Silent Command System Vol. 2: Intermediate which transitions from mechanical stimulation to using the remote e-collar.